When I think of my advanced students, a key element that sets them apart from their lesser-achieving peers are their life experiences, the education that they are getting in their off-time outside of school. We talk a lot about the inequities within education, but what about the inequities going on outside of school that contribute to a student’s level of achievement? So each Monday rolls around and I open up the classroom as early as 7:30am. Students trickle in, hang out, one of them sets up my Interactive Whiteboard, another gets his homework or reading done, that sort of thing. And in that time, I learn a lot about my students. And the fact is that some kids just come back from their weekends having, well, lived more then when I last saw them. This supplemental and key education has been going on throughout their lives and has continued on a road parallel to their school education. It is one provided by their families and other adults. Maybe it’s going to museums. Maybe it’s going camping. Maybe it’s helping to build the deck. Who knows, but it is adult-guided time where a student is learning while living. So it’s Monday morning and I know that we’ll be talking about Langston Hughes and “Thank You, M’am” later that day. Kids tell me about their weekends during this time, and I learn that one kid actually went to a jazz concert of sorts at the Arboretum. Another who was absent on Thursday and Friday just came back from New York for a wedding. Another spent their weekend with their uncle who loves Elvis. And another came to school having done nothing save watching TV and playing video games. So we can’t expect that all families are going to give their students this simultaneous, vital education. But those kids who did live fully during their “off-time” have memories and experiences that they can tap into to help their comprehension and their level of engagement in the classroom. After all, when I ask if anyone knows why Roger wanted a pair of “blue suede shoes” and what do “blue suede shoes” look like anyway, who do you think will be raising his hand? And what if I bring up the Harlem Renaissance and the author and New York buildings with stoops? Who do you think will have something to contribute or connect to? But what of that student who hibernated that weekend? Our missive as teachers is to educate all the students we have, and if we stumble on a missing component that might lead to building a rung in the rope bridge that delicately hangs between those who have and those who have not, then we have to include it. And I believe that one component we have lost is your standard, run-of-the-mill, field trip. That’s right, the field trip. Where have they gone? I remember going to San Gabriel Mission and seeing the little cemetery out back. I remember looking at the difference between the original wall and the newly stuccoed one. I remember going to the Wells Fargo Museum and being yelled at for actually getting in the stagecoach. I remember the La Brea Tar Pits with its sinking Mammoth and the green hill that to this day is still the most perfect hill in Los Angeles to roll down on a Sunday morning. Recently I saw this article in the Washington Post, and as I happened to be thinking along these lines, I thought I’d mention it. It basically outlines what I’m talking about here: that comprehension comes from the prior knowledge that the kids bring to the table, and that aids in their achievement. 1. …the requirement to bring wider lessons of life to these kids. Not only the standards of academics, but the standards to which we all live. Perhaps providing these “off-time” experiences should become a standard. Of course, I can’t answer where to get the funding for this missive, but that’s for a later post. I think supplemental learning was the purpose originally of field trips. And I’m not talking about virtual field trips, but go-there- and-breathe-the-air-and-experience-culture field trips. I see it with the AVID program even now. They go to colleges campuses, and those B and C students come back rejuvenated, willing to bust their butts in the program to get back to those campuses on their own terms one day. I remember working at an inner city school early in my teaching career. The year I was hired, it was about to close in order to save the district some money. The tone of the school was sad and depressed, an eminent divorce in all of our lives. We had only so much in our budget and the staff turned to each other and said, “Let’s give them an experience” with everything we had left. So we took the school to see “Stomp.” We walked to BART and took the train into San Francisco (some 5th graders – 10 years old – had never even been on the subway which ran right under their own bedroom window). We walked down the streets to the theater. The kids had dressed in anything they could and what they couldn’t afford, the teachers provided from thrift shops. They sat in a theater for the first time. And they heard the sounds and music and noise of “Stomp.” I looked down the line of students during the production and their mouths were all open, the eyes wide. When the show let out, we walked back to the BART station, and those kids, those students who come from an ancestry of rhythm and drum, repeated those same rhythms on every gate and trashcan and streetlight they could hit and pound on the walk to the station. They clapped, they stomped through the streets, reliving their own experience and allowing the glow of their experience to last as long as they could. As a child, I remember going to the tar pits, the museums, the post office, and the library. These experiences give us all some common ground in life. But now, with budget cuts and with so many standards in so little time, the schools don’t provide them. But they aren’t provided by homes either. The funding, you see, has become as prehistoric as the Mammoth trapped in the pit on Wilshire Blvd. Schools tend to focus on that which occurs in the classrooms. But we are missing the lessons that come from outside the classroom walls. Think Aloud and Sharing are sloppy seconds to the real deal, but they are fast becoming all we have. Which is one reason why second-career teachers are so important to the evolution of the profession. They bring in their own life experiences, share them, and thus, open up the walls of their classrooms that much more. I spend a lot of my time sharing my own life and asking them about theirs. Sharing as a teacher isn’t only about modeling, it’s also about bringing the world into the classroom, and about helping them take a mental field trip. It seems to be the only one we can afford, even though I have begun to think we can’t afford to neglect this particular standard anymore. When our kids were 9 and 12, we did the classic family vacation special: a three-week, 5-state road trip that included five national parks (one of which was Grand Canyon), two water-based adventures (float and white-water), a little modest climbing and hiking, history galore (both guidebook and kid-fiction). We began and ended the trip in Vegas (another kind of cultural education), mostly because of the cheap flights and mini-van rental. Our kids (now 21 and 24) refer to this as “the brown rocks trip.” I have memories of driving through the fantastic moonscape geology of Utah, and seeing both of them in the backseat with headphones on, resolutely ignoring nature. But. One kid now lives in and loves AZ, her penchant for a different kind of landscape seeded on that trip. And both of them can recall the Rocky Mountains, the rafting, Santa Fe, the Indian reservations–plus three weeks of ongoing tutoring from their parents on diverse subjects like westward expansion, the Latter Day Saints, and why Vegas is really the epicenter of evil. You’re absolutely right–all experiences matter, very much, in human learning. I love field trips! No matter what the budget, I manage to find someplace for myself and the students to go. This is my favorite part of field trips: About 10 minutes into the trip, whether on a bus, private car, or even walking, the students begin to open up about their lives to one another. They forget that the teacher may even be in the front seat. I hear the best conversations! And they can get into some deep stuff. Divorce. Death. Money. What is it about field trips that open the flood gates? And don’t forget about bringing all those field trip experiences back into the classroom. Now we all have something to write about! P.S. The Tar Pits were my 2nd home. My brother and I laid face down, head to head, gripped arms and rolled down that hill together endlessly. I can totally see you and your brother rolling down that hill together. 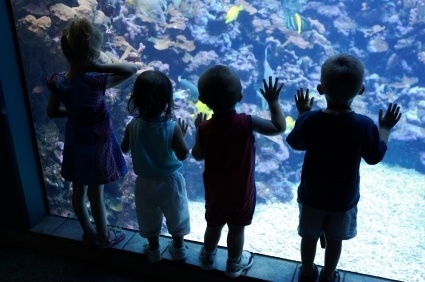 And it’s true, you do learn about those kids in a different way the minute you take them away from the “office.” What was your favorite field trip? Thanks for commenting! The best field trips I ever took kids on were to colleges. For most it was a whole new world. Their favorite places on campus were the dorms, the student union, and the stadium. Classrooms, not so much. Didn’t matter though, they got onto a campus and that’s what mattered. It really is all about exposure isn’t it? I loved visiting colleges, and the younger kids go, the more inclined they will be to have it in their future. Some colleges are Disneyland-esque in their learning environment. They bring choice in learning to the forefront of a student’s mind. Choice in learning is something that many students don’t experience until college and for some, that’s too late. That’s why electives are so important in middle and high school. But that’s for another post! Thanks for commenting. ?????? ?? iphone - ?????? ?? iphone ?????????????????????????????????????????????????????????????????????????????????????????????????????????????????????????????????????????????? ?